HID lighting is perhaps one of the most important precautionary upgrades you can make for your car. Upgrading HID bulbs and HID Conversion Kit allows you better visibility to see the road ahead with an unrivaled amount of clarity. Say good-bye to unclear street signs when driving at night. Instead, feel more confident than ever before by upgrading HID bulbs and HID Conversion Kit that leads the way, no matter where you go. What if Your Car Uses Low Beam Function as DRL? When it comes to vehicles, there are so many upgrades that can be done for safety and appearances, but some of the most important upgrades are related to headlight bulbs. We offer a variety of HID bulbs and conversion kits to choose from, so you can make the necessary safety updates. 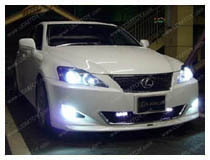 The stock lamps that come with your vehicle are usually dull and a yellow color, instead of a clear, bright white. 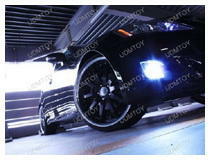 We have a variety of Xenon HID bulbs to choose from that work for a variety of vehicles. 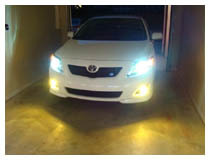 The main difference between our HID bulbs and the stock bulbs are the color and the brightness. With HID lamps, you can choose from a variety of colors including white and blue, allowing you to pick a color that will stand out, and allow you optimal visibility while on the road. Some headlights are very dull and don’t offer the proper illumination drivers depend on to navigate the roads safely. With these, you don’t have to worry about that. Our options are easy to install with plug and play installation and are great options to update your vehicle. In addition to selling just the bulbs, we also offer HID conversion kits, which work for headlights and fog lights, depending on your needs and the vehicle. These are necessary upgrades that will make visibility so much better, and allow you and other drivers to be safer on the road. You will be able to see objects on the road easier, and other drivers will be able to see you. 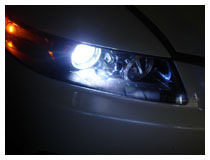 Here at iJDMToy, we are pleased to offer high-quality automotive lighting. We know your vehicle is a part of your family, and taking care of your vehicle is a priority. We offer plenty of lighting options to help you continue to do so. 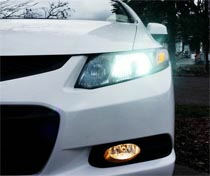 Browse from HID bulbs to colored reverse lights to license plate lights. If you have any issues with installation, please feel free to read our installation guides. 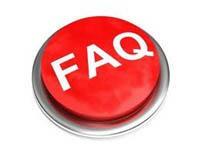 They have easy to follow instructions, as well as frequently asked questions. If you have an issue with your order, please contact our customer service representatives, and they will be happy to help get your order finalized.